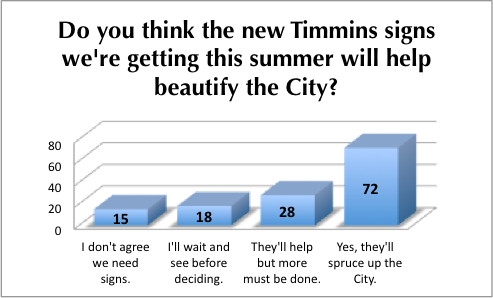 During the planning process, Timmins people said they wanted community beautification projects. Do you think the new signs we’re getting this summer will help? It’s great to see that so many people are getting behind some of the projects that are in the Timmins 2020 Strategic Plan.